A lot has been said about “The Witcher 3: Wild Hunt” since its release: amazing story and side quests, meaningful choices, interesting characters and phenomenally realized world with living and breathing ecosystem. But one aspect that seems to divide most reviewers and gamers is the combat. Some say that it’s just mindless hack and slash, others complain about the general sluggishness of Geralt during it and there are even those who say that it’s generally non-impactful. These points seem to be the most often raised amongst those who didn’t like CDProjectRed’s latest instalment in the Witcher series. So I would like to address them all, discuss whether they are justified or not and humbly make suggestions on how the developers might improve upon the combat with future patches. Let’s start with the big one – lacking any sense of impact. And I have to say that I partially agree, but only partially. Here’s why: the satisfaction of landing blow in any game comes from two main points: seeing the result of each hit and hearing the result of each hit. What this means is that whenever I swing a sword, I must not only hear steel or silver collide with the flesh or armor of the enemy, but also see the appropriate reaction from the foe: blood being spilled and enemy taking a step back to regroup himself or wood of the shield he’s currently carrying getting splattered. These two things combined form general sense of significance of each strike and thus make it more tantalizing for us, players, to continue giving more. And while “The Witcher 3” registers the blows and gives the necessary audio bit all the time, it doesn’t always provide the appropriate physical response and you find yourself hitting an enemy without any suitable reaction on his behalf. That’s when our beloved immersion takes a first big punch in the gut. And although it’s not constant to classify it as a definitive minus, its still happens often enough for you to notice and be annoyed. The second major strike against the game’s battle mechanic, that is mentioned even more often, is the simplistic nature of it, caused by the enemy A.I. Which I do agree, but again only partially. 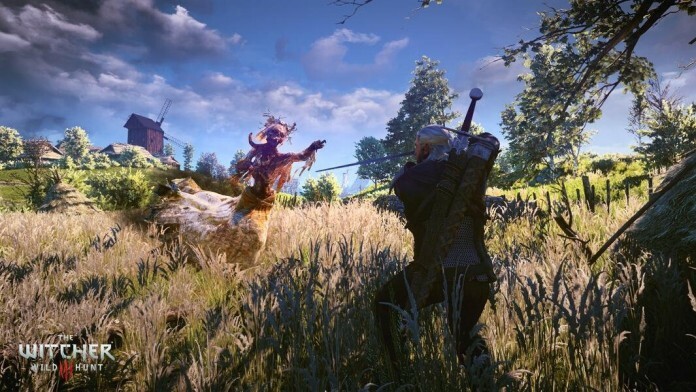 While most of the time your foes will gang up on you, no matter who you fighting against and attack all at once, in other instances as soon as you walk out of their agro-range they will just stand there and watch as Geralt slaughters all their friends. Granted, it is more prominent during fights with humans and not ubiquitous throughout the whole experience. But as is the case with the remark about the general feel that I have talked above, it’s still there and needs addressing as a periodic weak link. And the final point that has been made by a lot of gamers and me personally is the general feel of Geralt during the combat. Not the responsiveness of the controls, but the way the main character dodges and parries the incoming blows. I know, it sounds knit picky even for this article, but hear me out. There are two buttons which account for evading enemy attacks: one for rolling away and another for dodging. Except that you don’t necessarily dodge when you press the last one, all you do is hop back a bit or in any other given direction, including forward. Which not only looks lackluster, considering that when you do it a lot it looks like Geralt has an invisible skipping-rope. But it is also impractical due to the fact that it is not fast enough no matter in which direction you’re trying to strafe in. And considering that dodging is so unsatisfying, you spend most of your time rolling away. Which is fine when performed seldom, but when used more often looks like Geralt suddenly turned from a badass monster slayer into Sonic the Hedgehog. In the end, I have to admit that it is irritating, and does take away from the overall experience. More often than the previous drawbacks. Simply by the fact that it’s constantly there, unlike the seldomness of the hit-detection and randomness of the A.I. Although I recognize why some people might be disappointed by the fighting system due to the aforementioned annoyances, I still cannot for the life of me understand why those exact gamers would state that it’s absolutely dull and not worth trying. Yes, there are some problems that need addressing. But when you get down to it cutting puny humans and monsters in half will always be fun, no matter how psychotic it might sound. Because games like this need to execute something that real life will never be able to do – make violence fun. And that’s the task that, in my opinion, the latest “Witcher” accomplishes pretty well and why the combat in “The Wild Hunt” is still good. Enemy A.I. is aggressively smart enough and missteps only at times. The game registers the hits you deal towards the enemies constantly and doesn’t provide the necessary feedback only at times. Geralt, when not jumping away or hoping back, moves as one would want – methodically and responsive, constituting each enemy as a viable threat (which on higher difficulties they absolutely are). And each blow ends in a satisfying squelch or dismemberment and, again, only at times refuses to give the appropriate visual feedback. But that is exactly my problem: the combat is mostly fine and sometimes good, but it can be great consistently. Just a few minor tweaks, two of which (sense of impact and adversary A.I.) is purely technical. And the dodge mechanic has already been well done by this exact developer, just check some gameplay videos of the “The Witcher 3” that are 7 months old – it’s absolutely perfect there. Geralt doesn’t jump back, but takes a step in a very rapid manner, which not only looks cool (providing the feeling that the main character has weight), but is also tactically sound. The point of this article is not only to address and discuss the problems with the combat in the “Witcher 3: The Wild Hunt” and to admit that there are some flaws. But to also state that it is still fun to play and, most importantly, to note that even those drawbacks that do exist can be definitely fixed with patches. CDProjectRed has already done an outstanding job of not only developing overall a great game with good elements in it, but also supporting it with constant free DLCs and updates. And this is why I still have hope that the issues mentioned above will be resolved in the near future. Since I am not the only one who noticed them and expect, by writing this article, to make those who also did to speak up. Not because I am disappointed with the game or CDProjectRed personally, far from it. But because the combat in this game has the potential to rival the best fighting systems in all RPG’s. And I am not saying that lightly. Think about, it’s bloody, visceral, responsive (keeping in mind the mentioned annoyances) and real-time. The combat is just one step away from greatness. 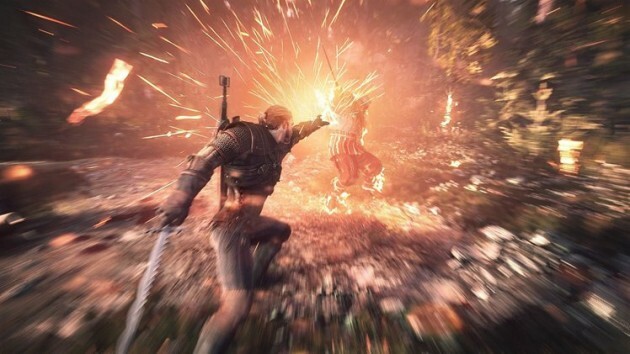 If the developers could polish the technical problems and movement, than I am sure “The Witcher 3: Wild Hunt” would not only win over more gamers and even those who abandoned it due to the combat issues, but would also have a unanimous winning place in gaming history in general.